The eleventh book of The No. 1 Ladies' Detective Agency confronts Mma Precious Ramotswe with three variations on the theme of an unhappy woman. One is a lady who wants proof that her husband is cheating on her, even though he isn't. Another is the domineering aunt of Mr. Phuti Radiphuti, fiance of assistant detective Mma Grace Makutsi, who refuses to let Mma Makutsi see him while he recovers from an accident that cost him part of one leg. Then there is Mma Makutsi's nemesis, Violet Sepotho, whose latest scheme may cost a well-meaning man his house, unless Mma Ramotswe can come up with a legal way around an iron-clad contract. While the solution to one of these problems depends on the pushiness of orphan-farm matron Mma Sylvia Potokwane, it is the soft-hearted kindness of Mma Ramotswe that prevails in most circumstances. Mma Makutsi has an opportunity to appreciate the amazing gentleness of that lady as she sympathizes with the nastiest people, simply because they are unhappy. The biggest case for the agency, however, is a matter of a very happy woman - an American lady who has recently become late, to borrow a whimsical phrase familiar from the earlier books in this Botswana-based series. Author McCall Smith, himself a native of Africa, finally gets around to explaining why this euphemism for death is used: it has a way of making one feel still connected to people who have passed away. The late American lady felt connected to a tour guide on an African safari, and now the executor of his will wants Mma Ramotswe's help finding that guide, so he can receive a gift of $3,000. Mma Ramotswe's kindness makes her the right person for this happy mission, though it means a long and perilous journey into a remote part of Botswana, accompanied by her trusty assistant. Mma Makutsi, who often hears her shoes talking to her, was glad to come along on her first-ever business trip because it involved the purchase of a new pair of boots; but the chances of meeting a lion, or a panther, or a crocodile, or a hippo, leave her scared stiff while the boss tries to work out which tour guide deserves to inherit $3,000. Recognizing a good man proves to be easier than determining which one is the right man - but kindness, as always, finds a way. The series continues to make me happy with its gentle wit, its descriptive exploration of previously unvisited scenery, and its unmocking portrayal of lovable characters who enjoy a somewhat simpler and more graceful life in this age of hurry and rudeness. There is an innocence about them that makes one feel protective of them, even though they have already borne experiences many of us are spared. It is a good series to read if you want to see a bigger world and to feel the concerns you live with are small indeed. Next in the sequence is The Saturday Big Tent Wedding Party. The fourth book in the Isabel Dalhousie series finds the 40-something Edinburgh-based philosopher bringing up a bonnie baby named Charlie, struggling to patch up her relationship with niece Cat after getting romantically involved with Cat's ex-boyfriend Jamie, responding to a palace coup on the editorial board of the Journal of Applied Ethics, and solving a mystery involving something a bit off about some art works by a deceased Scottish painter that recently went on sale. More than some of the previous books in this series (sometimes described as "novels" rather than "mysteries"), this book really has a mystery in it, one with an unusually satisfying payoff for a mystery author who has trained his fans to accept and appreciate something other than a conventional whodunit. It also has some instances of Isabel behaving in ways that make one uncomfortable - not altogether admirable, heroine-type behavior, this go-round. She admits at the end, for example, that she turns out to have done the right thing - but until she saw the outcome, she wasn't sure it was so. The incidents in this book play up the conflict for Isabel between serving her interest and doing what is right, between her moral duty to help and a tendency to interfere. And sometimes her judgment isn't quite sound. The book leaves a lingering sense of ambiguity about how well its issues are settled. Amid the squirming and wrestling with ethical puzzles, which one ought to expect in a book about a moral philosopher, there are pages of beautiful description of parts of Scotland the series hasn't visited before. These include the Isle of Jura, right up to the remote house where George Orwell wrote Nineteen Eighty-Four, and a remote part of Perthshire too. The reader gazes through the lens of McCall Smith's compressed lyricism at one of the most dangerous stretches of water around the British Isles, and into the home lives of families that harbor secrets, guilt, and grudges. 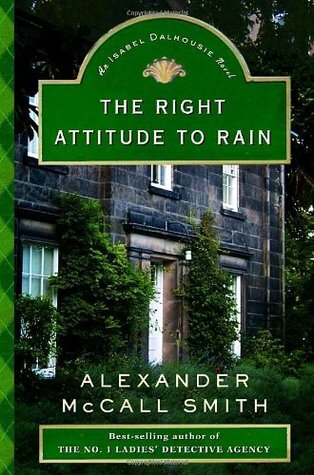 His prose opens a portal onto peaceful country scenes with mountain and ocean views and freshly scented air abuzz with insects, as well as the snug atmosphere of high-culture Edinburgh, a haunt of painters, writers, lawyers, and musicians; people who have housekeepers and private chefs, or who drop in on a delicatessen for focaccia with olives. I suspect visiting this book's Scotland might be a journey of the imagination even for some people living in Scotland. But it is very soothing to the senses after a long day of ordinary work in an ordinary, small American town. It is like a touch of a rare herb giving a special savor to a mundane dish. In its low-key, rarely exciting way it both stimulates and relaxes, rewards the imagination and provides cultural and ethical food for thought. Next in the series is The Comforts of a Muddy Saturday, a.k.a. The Comfort of Saturdays. The full title of this number is "Joshua Hymn: For a Devout Heart." 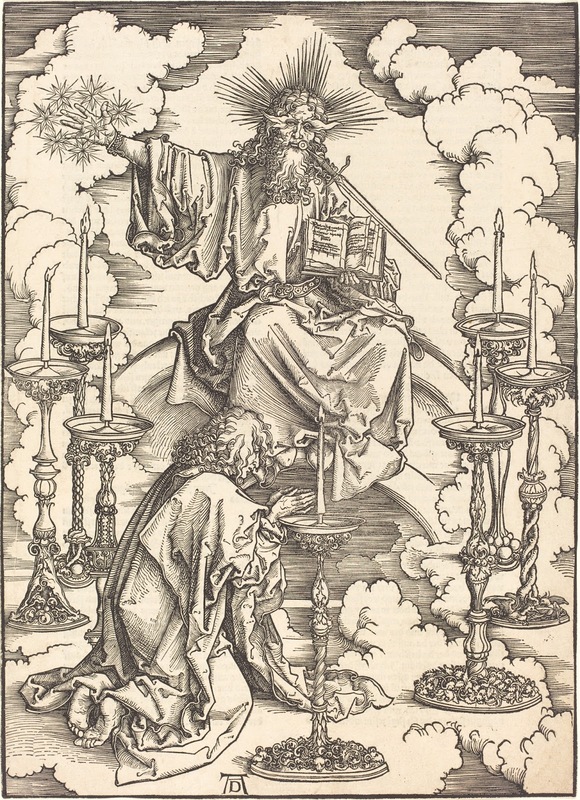 The tune I had in mind for it is O GOTT, DU FROMMER GOTT from Braunschweig, 1648. 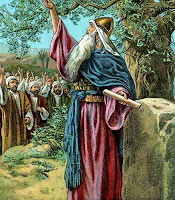 This particular "heroes of the faith"-type hymn is mainly drawn from one place in the Book of Joshua, his speech to the children of Israel in Joshua 24. I thought it was due for a little rescuing from the "Choose whom you will serve!" type of ditty that calls on the listener to make a decision for Christ. 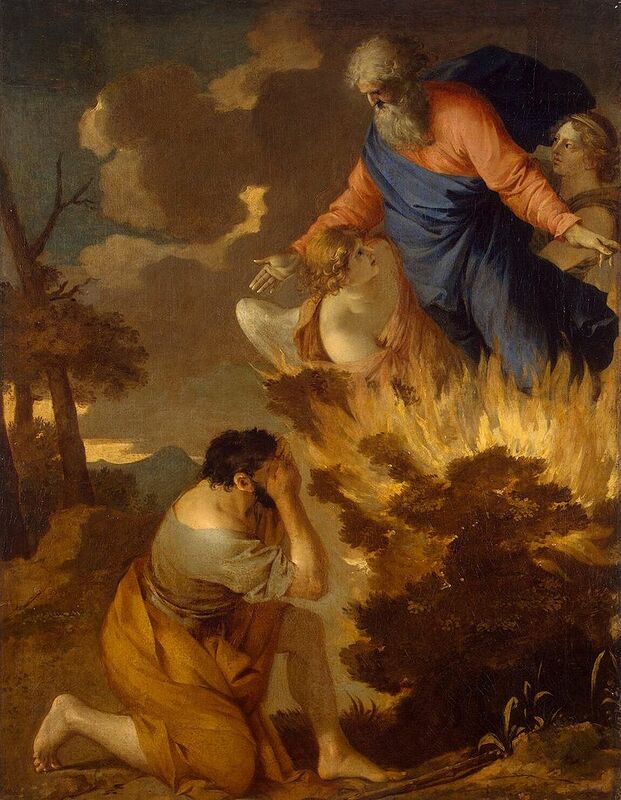 I can't help noticing, reading the text, that the only "choice" Joshua offers the children of Israel is to follow the false gods of Babylon and Canaan. In contrast to that, he actually tells them, "You cannot serve the Lord!" To us has been extended! All good thereby we get. Made safe from sin and hell. True God and our own choice. 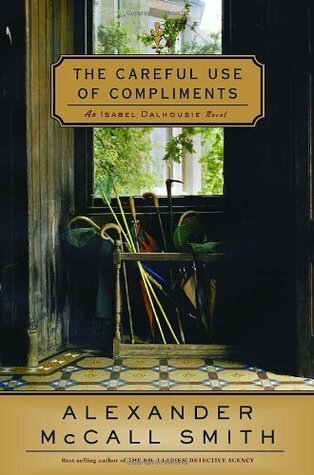 In the third of what are now ten or eleven "Isabel Dalhousie novels," the Edinburgh-based editor of The Journal of Applied Ethics, takes an interest in an engaged couple from Texas visiting Scotland over the summer. She suspects Angie is after Tom's money first, and after Jamie, Isabel's good-looking young male friend, second; she is surprised to learn, later on, that Tom is attracted to her, Isabel. But after once again tottering on the line between performing her moral duty to a neighbor and nosing into other people's business, she must wonder whether her hasty judgment was part cause of a near-tragedy. Meanwhile, Isabel's search for a flat to buy for her housekeeper Grace leads to a misunderstanding about her relationship to Jamie - the scorned ex-boyfriend of her niece Cat, on whom Isabel has long had a crush of her own. But their friendship suddenly flowers into a romance that she has long desired. She spends a lot of time worrying about how people will perceive their affair, since she is the older by 14 years; but everyone seems okay with it except, with surprising vehemence, Cat. This installment has a lot of interesting developments for the series' recurring characters, including one at the end that comes as a real surprise. But the chief source of pleasure in reading it is to be around Isabel, with her quirky trains of thought, her meditations on proper behavior, her eye for the beauties of Scottish scenery, her ear for good Scottish poetry, her memory of the sordid details of Scottish history, and her nose for trouble. She feels a kinship toward the fox in her garden; she has a fondness for the shy young man who works in Cat's delicatessen; she has an old heartache in her past, and a new appreciation of her "sainted American mother's" flawed humanity; and she has, at last, the ability to overcome her cautious streak and do something spontaneous. McCall Smith, also the author of The No. 1 Ladies' Detective Agency series and numerous other books, jams a lot of Scotland into this one book, and each book in this series. It goes on in The Careful Use of Compliments. I mentioned in my review of David Almond's excellent book Kit's Wilderness that the silver Michael L. Printz Honor Book medal is probably a better sale driver than the gold Printz Award itself, since I for one love many runners-up for that young adult fiction award, but almost never touch the winners. 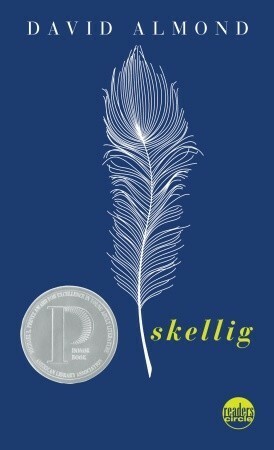 Well, this book, Skellig, is one of those lucky runners-up, and that silver medal is proudly embossed on its cover, at least in its American editions. But perhaps more importantly, it went for the gold in the Carnegie Medal race of 1998 - that's the highest award for children's literature in the U.K. Even more notably, it was named among the "70th Anniversary Top Ten" of that award in 2007. So it stands in some very classy company. Maybe they left that bit off the American covers just because the Printz Award is American. But I find it neat to think of this book in the company of Mary Norton's The Borrowers, Philippa Pearce's Tom's Midnight Garden, and Philip Pullman's Northern Lights (American Title: The Golden Compass). Folks familiar with Kit's Wilderness may notice some shared themes between these two books, such as the image of a baby sister being held close to a teenaged brother's heart, and a preoccupation with aspects of the theory of evolution. Both books are examples of the young-adult strain of magical realism: stories that combine real-world settings and characters with strange phenomena, such as ghosts, fictional characters appearing in reality, and psychic communication. 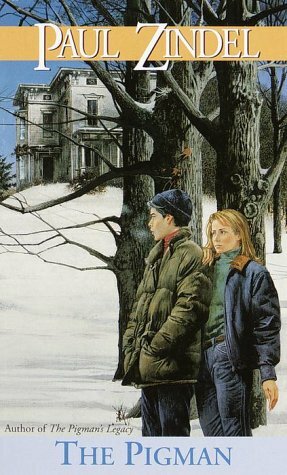 In this book, a middle-school student named Michael is having trouble dealing with his family's move into a fixer-upper house in a strange new neighborhood, where he is now a bus ride away from his school and his football (soccer) friends; at the same time, his baby sister's serious illness puts a strain on the whole family. In a rebellious mood, he ignores his parents' warning to stay out of the rickety garage, which could collapse any moment. There, behind an abandoned chest of drawers, he discovers an extraordinary creature who eventually (Page 87 in my edition) admits that his name is Skellig. Who or what Skellig is, Michael and Mina, the home-schooled girl down the street, can only guess. They only know they must keep him secret. They must move him to a safer place. And they must try to help him get better. Skellig seems to have given up on life, slouching in the darkness, eating spiders and mice, while suffering arthritis pain and general weakness. He's a funny fellow, though. He coughs up pellets of compacted fur and bone after eating small creatures, rather like the digestive byproducts of an owl. He is lighter than he looks, perhaps due to having hollow bones. Also, he has beautiful, white, feathery wings. He could, Michael realizes, be the very thing his unnamed baby sister needs as she faces a critical heart operation. And she could be just what Skellig needs too. Rich in emotion, full of family love, laced with quotations from William Blake and meaningful glances from a blackbird and a cat named Whisper, scented with the aroma of Chinese takeaway, and decorated with the art works of a couple of surprisingly talented kids - one of whom is also a killer footballer - this book deserves every carat of its Carnegie gold and may, if I may be excused for supposing it, have been robbed of the first-ever Printz award. It's a novel in which the unchallenged acceptance of the theory of evolution exists side-by-side with an equally unapologetic belief in angels. It is full of unexplained strangeness, touches of impulsive fun, interesting side characters, and a lean, sinewy grace that drives the dramatic momentum. It doesn't end a word late, and arrives at the finish line with plenty of the reader's attention to spare. And it now has a prequel, titled My Name Is Mina. With this book, British author David Almond won the second-ever Michael L. Printz Award in 2001 from the Young Adult Library Services Association in the U.S., a year after being a runner-up for the same award with Skellig. Both books have been on my shelf of "award-winning fiction for young readers" for several years, like airplanes circling over O'Hare Airport, waiting for clearance to land. Their chance finally came during a weekend of sickness when I had nothing to do but lie on my back and wait for the next dose of medicine. I was happy to discover that this book wasn't about a lone boy's struggle to survive in a desolate wilderness, a type of story that I can only bear to read so often. And in spite of being a title on the winners' list of an award whose other winners hold no interest for me, I realized quickly that I had fallen into the grip of a great story - the kind that is usually robbed of glory when the boring book awards are announced. For example, while this is my first time reading a Printz award winner, several of my favorite books are among its honorable mentions, including The Ropemaker by the late and lamented Peter Dickinson, The House of the Scorpion by Nancy Farmer, Airborn by Kenneth Oppel, I Am the Messenger and The Book Thief by Markus Zusak, The Pox Party by M.T. Anderson, and The Monstrumologist by Rick Yancey. I hate to hand it to the YALSA, but their silver "honor" medal is probably more of a selling point than their gold "award" one. This book may help sweeten my expectations of those top award winners. 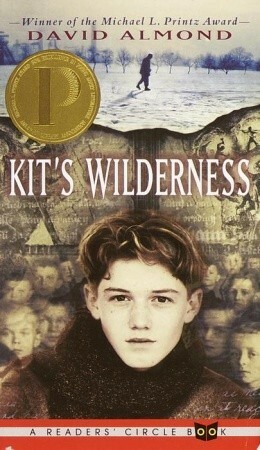 So, Kit's Wilderness is very good for an award-winning book, and it's also not about a kid eating berries in the woods. Actually there is a subplot about a kid scratching a meager living out of the ground, sort of a story-within-a-story, but by the time that starts up, you're already hooked on a teen-friendly example of the up-and-coming genre known as magical realism. In adult fiction terms, that's the school of literature pioneered by Gabriel "Love in the Time of Cholera" García Márquez. In kid terms, it's a story set in a convincingly real English town, full of convincingly real characters (kids as well as grown-ups) with convincingly real problems; yet without taking away any of that, it's all shot through with paranormal weirdness and, well, magic. Kit Watson, aged 13, is the new boy in Stoneygate, but his family goes way back in the town's history. Another Kit Watson, aged 13, died in a coal mine disaster about a hundred years ago, and present-day Kit's newly widowed grandpa still tells stories about working in those mines. Another present-day kid whose namesake, also aged 13, is listed on the mine disaster memorial is John Askew, a burly, surly type who has some pretty dark ideas. Imagine a loner who goes everywhere with a vicious dog at his heels, who gathers a clique of misfits around him to play a disturbing game called Death. Kit gets pulled into it, partly by a fascination with the repellant yet magnetic Askew, partly to chase a cute girl named Allie. But things get out of control for young Askew and he ends up first expelled from school, then running away. Kit, meanwhile, is increasingly distracted by visions of ghostly children, spirits of those buried deep in the coal tunnels. Besides this, he has to deal with his grandpa's decline into dementia, and a story he is writing for school that becomes so real to him, its characters spill out into reality. The weirdness builds with an urgency of purpose, until it seems the only way to save John, Grandpa, and an ice-age hero named Lek is to save them all at once. And for Kit, that means descending into a terrifying, ancient darkness. This is a very strange book. It is a strangely wonderful book. It is a wonderfully dark book. It is a darkly beautiful book. It is in that rare and treasured category of books that made me laugh and sob, repeatedly. It is a book whose layered complexity could have come across as tortured and artificial, but that instead manages to convey a powerful natural unity through images, phrases, and ideas that cycle round and round, building up to cyclone force. It is such a strong book that I actually took a break from reading it to ransack my book collection until I made sure I also had Skellig - which I then read the same evening. And I now want to read more by David Almond, whose titles include The Boy Who Climbed into the Moon and The Boy Who Swam with Piranhas. These stories happened to me last week. My mother would love them. You know you're going to have a nasty experience when the plumber's advice over the phone begins, "First, put down some towels." 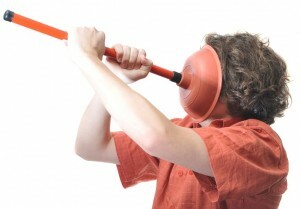 On the occasion of a persistently blocked toilet a few nights ago, my local plumber went on to say, "Then ride that plunger like it's a pogo-stick." As he predicted, the contents of the toilet went everywhere. I mean everywhere. Poop, toilet paper, water, and mostly an indistinguishable melange of the three - everywhere. I didn't put down enough towels. I could not have. It was a hideous experience. The cleanup took ages. I ended up throwing out the shirt I was wearing and about six of my older bath towels, including the two that have been serving as beds for my cats, after mopping up the gross stuff with them. Then I mopped the floor with Pine Sol. Then I Swiffer Wet mopped it. Then I Swiffer Dry mopped it. I also showered and changed clothes. Somewhere in this horror, the truly crowning calamity happened. The bath rug, that I had first rolled out of the way during the early stages of my plumbing ordeal and later draped over the side of the tub, had to be transferred to the shower curtain rod to keep it out of the way - and as I did so, something dripped out of it and hit me in the face. In my open mouth and eyes, to boot. I have no idea what that liquid was. I hope it was just water that splashed out of the mop bucket when I filled it in the tub. Luckily, I'm on antibiotics now (for an unrelated condition). I've been sick for an entire week now. I came down with symptoms last Saturday night. Church was canceled Sunday due to icy road conditions, so I stayed in bed through most of the day. I had a demanding work week, never making it home earlier than 8:30 p.m. between Monday and Wednesday and an hour later than that at least one night. I wasn't getting well. In fact, I had a couple really rough nights when, for a while at least, the effort of breathing became so great that I thought I might have pneumonia. I packed my overnight bag one night and was going to the office to use the internet to help me decide which hospital to go to, but the cold air made me feel a little better, so I decided to go to Walmart instead and buy some over-the-counter stuff. You know: Theraflu, Vaporub, that kind of thing. The Versailles Walmart looked dark and abandoned. I didn't think it was open, so I drove to the somewhat larger village of Eldon, a good 18 miles away - only to learn that its Walmart was definitely closed at that time of night. I tried a convenience store on the way home, but they didn't have what I wanted either. I ended up going home with nothing to show for my trip but a full tank of gas. I felt really stupid the next day when my boss told me the Versailles Walmart is open 24 hours a day. I took Thursday off to lie in bed and try to heal - with Theraflu, Vaporub, and the rest this time - but I was still ill on Friday. So my boss and co-workers ganged up on me and sent me to the doctor. Now, I've never visited a doctor since I moved out to these parts. I had to choose a primary care physician when I signed up for health insurance, but I had never visited her. When I called her office Friday, her receptionist said she was too busy to see new patients. So I had to go to Urgent Care in Eldon. The doc there tested me for the flu, but the test was negative. She saw some redness in my mouth, though, and heard some congestion in my lungs. So she decided I have bronchitis - it's always bronchitis! - and sent a script for an inhaler (albuterol), a steroid (prednisone), and an antibiotic (azithromicin) to the Walmart pharmacy in Versailles. When I got there, the pharmacist who helped me noted my insurance wouldn't cover the inhaler I was prescribed. She then said something about how "the one that your insurance does cover, we don't have in stock," before adding that the steroid would be no problem. In a classic case of miscommunication, I thought she was telling me the antibiotic wasn't in stock, so all I would be able to get was the steroid - and that was the one I cared least about. So I said forget it, and went back to work empty-handed. My co-workers prevailed on me to have the Urgent Care clinic send my antibiotic script to a different pharmacy, where I picked it up and started at least that course of meds. After work I went to Walmart a second time, just to see how much it would cost me to get the other two drugs - but the inhaler was going to cost me $60 out of pocket, so I decided again not to bother. Then came that time of night when breathing became so difficult that I wasn't sure I was going to survive without the meds the doctor ordered for me. So I went to Walmart a third time and told them I was going for it. This time a different pharmacist dealt with me, and she cleared up the miscommunication that happened earlier. What the other girl meant by that remark about "the one that your insurance does cover," was that an alternate brand of inhaler existed that my insurance would have paid for - but it was on factory back-order. The pharmacist I spoke to later told me it was too late to call the insurance company now, but if they did call to tell them they had this brand of inhaler, the company would cover it; but since they didn't have it, the company would probably say, "Our database shows they have this inhaler in stock in Oshkosh. You should drive there to pick it up." Oshkosh, by the way, is more than 500 miles away. I told the pharmacist, "It's as if they think breathing is an elective procedure." She laughed. I would have joined her, but at that point I was so out of breath that I had to lean against the counter to stay upright. 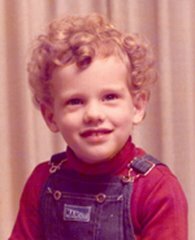 I was actually light-headed. So I took that $60 inhaler home (along with a steroid that, I kid you not, cost me $2 and change), pulled it out of the package and gave it a shake. And because no Robbie story is complete without a final twist, the bottle containing this life-saving, $60-out-of-pocket drug flew out of the dispenser and landed on the floor. Don't look at me like that. 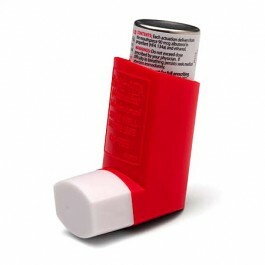 I've never done an inhaler before. It was my first time, and I didn't know how to hold it. It took me several light-headed minutes to figure out how to put the bottle back in the holder, remove the lid over the mouthpiece, and give myself the first dose of what I can already tell is worth every penny. I'm so glad that bottle didn't break! This is the sad story of a couple of troubled New York City high school sophomores who befriend a lonely old man and end up feeling responsible for his death. To say they "befriended" him may seem a bit of a stretch, since it starts as a telephone prank and develops into a small-time scam. But as their home lives become increasingly unhealthy, they find themselves really enjoying their time with Mr. Pignati, affectionately known as the Pigman. He awakens a spark of compassion in them, and though they never quite get over trying to take advantage of him, their bad motives are soon mixed with care and concern. John and Lorraine, the hero teens, push their fun with Mr. Pignati a little too far, and he has a heart attack. While they're waiting for him to come home, they decide to throw a party at his house that ends with predictably painful results. The tragic end of their friendship with the Pigman leaves the kids thinking dark thoughts about the meaning of life. Told by John and Lorraine in alternating chapters, the story pulls no punches about the kids' crummy home lives, the dangerous company they keep, their character flaws, and the sudden opening of a romantic possibility between them. At times cruelly sad, often hilarious, this book's strong point is its convincing depiction of the characters' unique personalities. They come to life on the page, and live on in your heart. This 1968 teen novel was the first of many by a prolific pioneer in fiction aimed at high-school-age readers, who also happened to be a Pulitzer-Prize-winning playright (for The Effect of Gamma Rays on Man-in-the-Moon Marigolds). Zinman, who lived 1936-2003, also wrote novels and plays with such titles as Attack of the Killer Fishfingers; The 100% Laugh Riot; Pardon Me, You're Stepping on My Eyeball; The Undertaker's Gone Bananas; Harry and Hortense at Hormone High; The Amazing and Death-Defying Diary of Eugene Dingman; A Begonia for Miss Applebaum; And Miss Reardon Drinks a Little; and Every Seventeen Minutes the Crowd Goes Crazy! There was also a sequel to this book, The Pigman's Legacy. These are only a few of his works, many of which explore serious issues about the challenges of growing up - besides such thrill-driven creature features as Loch, Reef of Death and Raptor. Plus, close to the end of his life, Zinman also wrote the twelve-book P.C. Hawke series about a couple of teenage sleuths, including The Gourmet Zombie and The Houdini Whodunit. I think anyone wanting to make a serious study of young adult fiction will be interested in Zinman's body of work. Book 10 of 16 of The No. 1 Ladies' Detective Agency casts Mma Precious Ramotswe, Botswana's only private eye, in the unaccustomed role of a football (or soccer) detective. A certain Mr. Molofololo (accent on the "o"), owner of the Kalahari Swoopers, insists there must be a traitor on his team, causing it to lose games that it should win. Mma Ramotswe and her prickly associate Mma Makutsi get to work, interviewing the players and exposing jealous rivalries, suspicious debts, possible vision problems, and other motives making every member of the team almost equally likely to be the traitor. But of course, the solution comes out of the mouth of Mma Ramotswe's foster son Puso, who is wild about the game. Meanwhile, Mma Makutsi is worried about losing her fiance, Mr. Phuti Radiphuti, to the seductive charms of her arch-rival from the Botswana Secretarial College. Violet Sepotho, already a confirmed husband-stealer, takes a job at Phuti's furniture store and shows a surprising talent for selling beds. While Mma Makutsi writhes in anxiety, the agency gets a visit from another Mma Sepotho - who, surprisingly, is unrelated - asking for help with her own dilemma: She has two husbands, who are unaware of her two-timing. Now the weekday husband wants to invite the weekend husband over for dinner - and she is supposed to serve as hostess while also appearing as the guest's wife. Solutions to Mma Ramotswe's cases are often anticlimactic and down-to-earth. She is devoted to a manual of private detection by a certain Clovis Andersen, and usually thinks he is never wrong; but at times, she figures out ways of doing things that she knows Clovis Andersen would not approve. She understands how to get valuable information out of children. She has learned the best way to find out about something is to ask a direct question. And she applies the attitude every day that what her career is about is helping people. 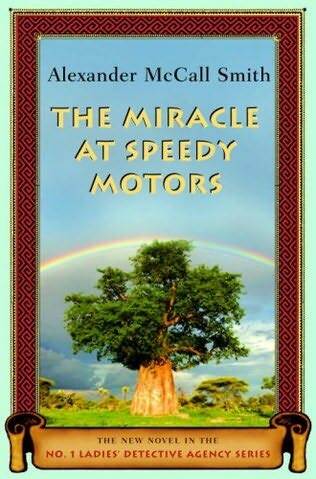 This makes her series of adventures an unusually gentle, compassionate saga of low-key mysteries, enlivened by whimsical incidents like the foiling of Violet Sepotho's plan, and held together by minor plot arcs like Mma Ramotswe's touching quest to reunite with her faithful, old, tiny white van. 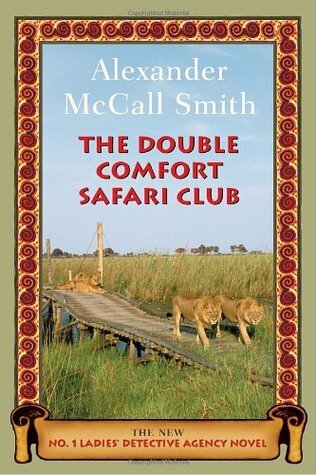 The next book in the series is The Double Comfort Safari Club. This longish hymn was about the only productive thing I did yesterday, when I was taking a sick day off work. The full title is "Moses Hymn: Strength in Weakness." Not all the frailty depicted in this hymn is that of Moses, but it is still a rather odd example of the "heroes of the faith" type of hymn, focusing as it does on failure and weakness. The point, of course, is to glorify God. The tune, VOM HIMMEL KAM DER ENGEL SCHAR, dates from Gotha, 1715. Your captive people freed at length. You made him God in Pharaoh’s eyes. Their freedom was of You alone. They once again Your name forgot. Behold, how weakness pairs with pow’r! They made and praised a calf of gold. Their grumbling tried his patience frail. Still less of fear before Your might. Yet Jacob’s sons resisted You. You brought them to the promised land. Preserved a line that never failed. But gazed on it and died content? To what pollutes our deeds and hearts? Twixt trusty cup and fickle lip? And lived to speak Your word of grace? For every sinner to atone? But he whose arm on Aaron leans? And of the wonders You have done? Help us Your worthy praise prolong! This past weekend I was miserably ill. I pretty much spent every hour that I could spare from necessary errands in bed. Nevertheless, I got up long enough to write the following two hymns, bringing me still closer to my target of 200 "useful hymns." This "heroes of the faith" hymn only hits a few highlights of the career of the father of all the Hebrews, handed down in the book of Genesis. It is really focused on one key point: justification by faith. The tune is the 16th-century German chorale DURCH ADAMS FALL. When Your strong purpose claimed him! Was yet in faith persisting. Your strength, in mercy rooted! Again, the focus of this "hero of the faith" hymn is only one of many stories Genesis tells us about Jacob, also known as Israel. It is precisely this story that I hope will make Jacob a useful example for today's Christians. It goes to the tune ACH WIE NICHTIG, sourced to Gotha, 1715; though I'm afraid the structure of the tune doesn't quite gel with the rhyme scheme of the text. Oh, well! Till dawn’s rays the sky were dappling. Till he had from You a blessing. Lay on us Your mark of blessing! Give us faith to grasp our Savior! Hear our troubled, anxious prayer! Taste Your blood, our sins forgiving! With the saved in mighty number! His Word to John while he on Patmos stood. Whose visage shone; His voice like waters roared. His word to men. “Write this for Me,” He bade. I know your patient zeal for what is right. Therefore repent; return to your first love! That stands amid God’s Paradise above! They who despise your woes, blaspheme indeed. For some of you will stand the devil’s test. With those the second death can never harm! You kept My faith before the throne of hell. Your name engraved in diamond, hard and pure! Your works and service I cannot ignore. Repent, before I punish her abuse! Endure, and I will send the morning star! Who walk with me, unsoiled in their belief. Shore up that which remains! Repent and fast! Remember what you heard of me at last! Watch, lest I come upon you as a thief! Behold, a door that none can close to you! For faithfully your trial you withstood. Hold fast, that none may take away your crown! Anoint your eyes with salve, that you may see! Behold, I knock; bar not the door to Me! Help us endure in hope this hour of pain! That we may suffer all, a crown to gain! With Book 9 of The No. 1 Ladies' Detective Agency, I have just crossed the center line of what is currently a 16-book series featuring Botswana's only lady detective, her bespectacled assistant, her mechanic husband, and the rest of a cast of endearingly flawed recurring characters. The agency's main case at the time of this installment is a search for a woman's family. She only learned at her mother's deathbed that she was adopted as a small child. She has no surviving family on her adoptive parents' side, and she doesn't know who her people are on her biological parents' side. Being without any relatives of any kind is strange in Botswana, where everyone seems to be related to everyone else in some degree. The lonely client asks Mma Precious Ramotswe to find her a family, but what Mma Ramotswe finds is not what they planned. Meantime, her husband, the kindly Mr. J.L.B. Matekoni, takes their foster-daughter, sweet-tempered but wheelchair-bound Motholeli, to Johannesburg in search of a miracle cure. Although Mma Ramotswe disapproves of this quest and the cruel hope it represents, she finds herself joining it in a moving, personal way. As the rainy season closes in, Mma Ramotswe's assistant, Mma Grace Makutsi, makes a foolish mistake with the expensive bed her fiance bought her, and is tempted to let a lie come between them. And then there's the matter of a series of anonymous, threatening letters, almost leading Mma Ramotswe to do something terrible. The solution to this mystery, at least, relies on Mma Ramotswe's secret weapon: kindness - though it comes only after a rambunctiously silly chase scene through the aisles of a grocery store. By now, part of the appeal of this series lies in the comforting sense of being in familiar surroundings. Yet at the same time, it teaches western readers to appreciate distinctive aspects of a culture very different from ours - one in which owning cattle is the ultimate security, in which calling "Ko, Ko" is an essential point of courtesy before entering a home or an office, and in which a certain disease casts an ever-present shadow, though it seems to be considered indelicate to call it by its name. 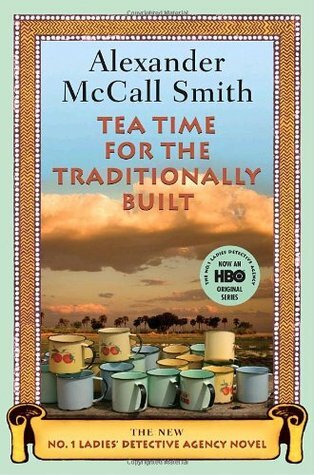 I can call Book 10 by name, however, because I am already reading it: Tea Time for the Traditionally Built. 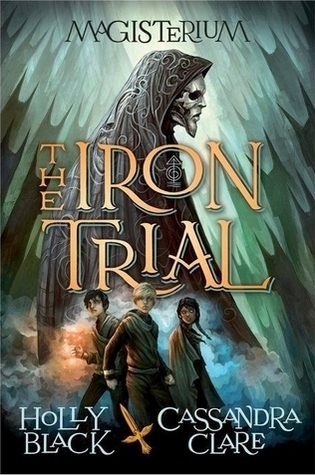 If you haven't read The Iron Trial, the first book in the Magisterium series, beware of spoilers ahead. Don't worry, I'll talk amongst myself while you click away. So, this is Book 2 of a five-book series featuring a school of magic different in many ways from Harry Potter's Hogwarts. For one thing, the Magisterium is in the U.S. Instead of in a castle, it is located underground. Its magic draws on control of the five elements: earth, air, fire, water, and chaos, which comes from the void out of which all things were made; and to some extent, this means the control of elementals, strange creatures that will consume any mage who gets too close to them. It boasts the authors of City of Bones and Tithe, so there is no surprise that it has a bold streak of darkness running through it. Coast clear? All right, here's the spoiler for those who skipped past Book 1. The main character, Callum Hunt, is also a bit like Harry Potter. He grew up in a home that was opposed to magic, but that didn't stop him from getting into a school of magic. And while he was an infant - practically at the moment of his birth, in fact - a deadly attack by an evil magician left a permanent mark on him. His mother died in the attack... but here the resemblance ends. For she died not trying to save him, but using the last of her strength to scratch a message into the floor of an ice cave warning his late-to-arrive father: "Kill the child." Call has grown up maimed, with one leg shorter and weaker than the other, because of his dying mother's feeble attempt to do him in. The reason for this unnatural behavior? Like Voldemort, the Enemy of Death - a wizard who did horrible things in search of a way to escape death - transferred a bit of his soul to the boy who lived. No, that isn't right. Actually, he transferred his soul, period. In his first year at the Magisterium, Call learned that he actually is the Enemy of Death, also known as Constantine Madden. The soul that truly belonged to little baby Call was pushed out to make way for Constantine's evil soul. Even though he doesn't remember being anybody but Alistair Hunt's mischievous, slightly crippled son, Call now knows he is the very dark lord who taught his father to hate magic. And now, during his first summer home from school, the 13-year-old realizes Alistair has suspected this all along. When he finds evidence that his dad is planning a dark ritual that could kill him, Call runs away with his chaos-ridden wolf Havoc. He runs away to spend the rest of the summer with his friends, Tamara and Aaron; but he can't bring himself to share his dark secret even with them. He finally has a best friend, and Aaron turns out to be the Makar - the chaos mage everyone has been waiting for, their best hope against the Enemy of Death, who is expected to break his 12-year truce with the mage Assembly at any time and resume his fiendish war. How can Call explain to Aaron that he, Call, is the Enemy himself? Keeping this awful secret becomes even more of a dance when someone steals the Alkahest, a rare magical artifact that, in the Enemy's hands, could spell the doom of the Makar. Being the Enemy, Call knows he will never use it against Aaron. But nobody else knows that. So how else can he explain that he thinks his dad stole the Alkahest? And how can he and his friends stop his dad from giving it to the bad guys - because there still are bad guys, you know? Not only do the trio of Aaron, Call, and Tamara have to run away from school, but they must take with them their most obnoxious classmate to keep him from telling on them. Meanwhile, the mages from the Assembly are sending deadly elementals after them and doing everything in their power to stop the kids, while a scene of stomach-upsetting evil awaits them at the end of their quest. So, basically, this is a Harry Potter-type story in which the hero is painfully aware, almost from the beginning, of what an evil mark he is marked with. It is one where the kids are on the run with the intensity of Harry & Co.'s flight from the snatchers, already in Book 2 instead of in the climactic last book. It is a series where so much has already happened, two-fifths of the way in, that one trembles to imagine what could come next. It is full of a young teen's self-questioning, anxiously checking himself to see where he stands on the "Evil Overlord" spectrum. But it is also deeply, richly fun, with a curly thread of goofy humor, a brisk pace, clever dialogue, surprising twists, and scenes full of original imagery that will impress itself on the reader's imagination. I hear Book 3 will be titled The Bronze Key, when it arrives in August 2016. I actually had a whole day off from work today, and I'm still getting used to the loneliness since my parents moved out of state and I'm in my own digs again, so although it was a beautiful day outside I spent swaths of it writing hymns. Here are the results, pushing me closer to my 200-hymn goal. With faithful words to say! To do their best today! Your throne until that Day! And so, Lord Christ, Your will be done! Our spirit’s Rest and Stay! For this hymn, I went back to my own tune HOLY BODY, which I wrote in 2014 for my hymn on the fifth commandment, "You shall not murder." Two as one in loving grace. On the bond You set in place! May hold up his heart and arm! Temper cool and bosom warm! Second selves through active grace! May new love the old erase! Bless their conflict with release! Let Your healing love have lease! And we rise, one cherished kin! 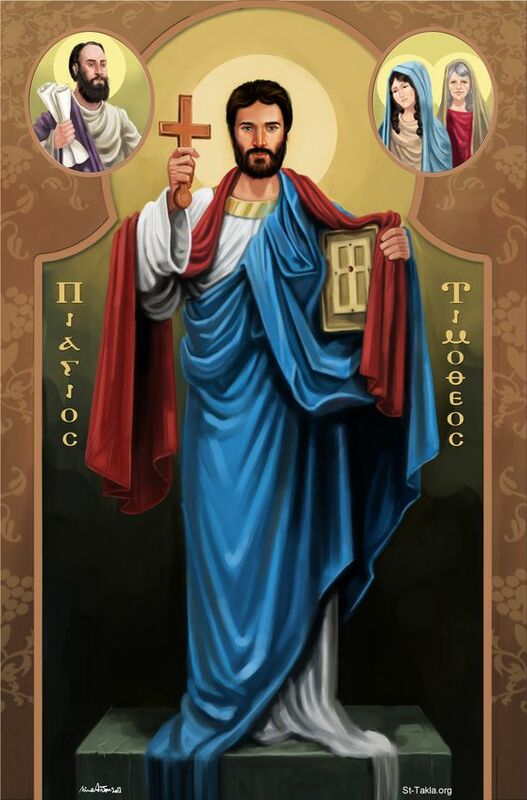 For this hymn I chose the 15th-century Bohemian tune SÆLIR ERU TRÚADIR, which I associate with Hallgrimur Petursson's Icelandic Passion hymn, "And then the Savior turned," a segment on Peter's denial of Jesus from a most impressive sequence of sacred poems. It was a tough meter to work with, though! I was tempted to call this "Terrorism Hymn," but I didn't want to seem to be promoting terrorism. I originally set this hymn to my own tune HEALING, which I wrote in 2011 to go with this hymn for an occasion of grief; but I didn't feel that it quite worked. So I asked my friend Robert Mayes to try writing an original tune for it, and he came up with this eloquently simple number, titled COURAGE. I like how its forward pulse suggests the momentum of unfolding events. We shall not die, but live. In dens of fear with nerve! Hurled by the prince of hell! Our eyes to Christ, His Son! With all the sons of light! Here is another hymn that I planned to submit to one my hymn-composing friends for a brand-new, original tune. I had Isaiah 53 open before me as I wrote it. 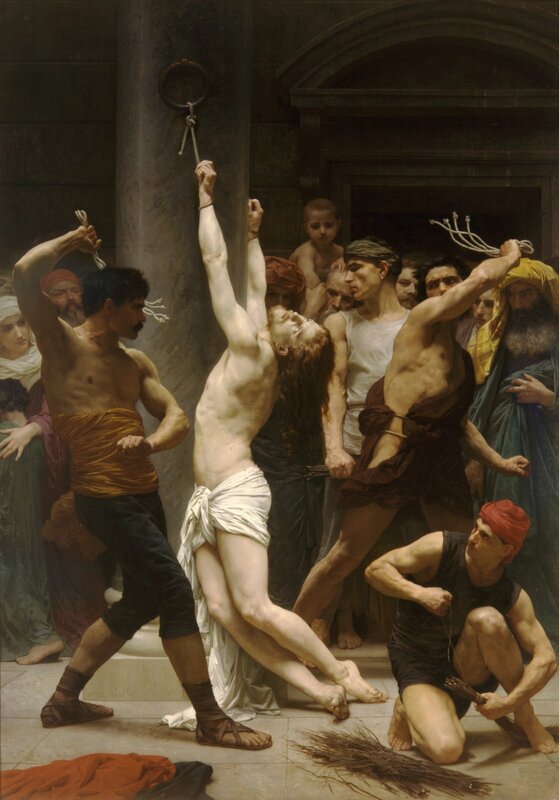 The designation "despised and rejected" describes three parties in this poem: first, Christ Himself; second, the faithful; and third, those whom Christ bids His church to serve in love. And yes, I know I got the rhyme scheme flipped around in stanza 3. I consciously decided to do that, partly out of necessity and partly because I thought it might be a clever way to signify the exchange aspect of the gospel. EDIT: The first of four fellow hymn-tune composers to fulfill his commission, the Rev. Robert Mayes sent me the tune AFFLICTION for this hymn. I like it! An arch and bitter foe! And for that purpose sent. We bear the world’s contempt. This is one of those hymns from the "Heroes of the Faith" section of my hymn-book, but unlike some of the others, it doesn't recite the deeds of the biblical character. It simply uses him as an illustration of the concept of faithful youth, which should be a major theme in the church's prayer in every generation, not only because we want our kids to be saved but also because the next generation will need faithful leaders of its own. The women named in stanza 3 are Timothy's grandmother and mother, held up by Paul in 2 Timothy 1 as witnesses of the sincere faith in which Timothy, his spiritual son, was brought up from childhood. Again, although I have written a tune that will fit these lyrics, I do not want to re-use it for what would be the third time; so I am floating it among my hymn-composing brethren (and sistren) to see what original tunes they can cook up. EDIT: Here is Joeline Mayes' original tune for this hymn, titled YOUTH. Thanks, Mrs. Mayes! And for you with tears have prayed! Is your faith’s foundation laid! Lean on Christ, the Word of God! His forgiveness sets you right. Of God’s mercies broad and deep. Days remaining till His Day. Only that they know the truth! On sound words Your lambs to feed! Here is another hymn I am farming out to my hymn-writing friends to supply it an original tune. I wrote it with one of my own tunes in mind, but I've already over-used that tune, so an infusion of fresh melody is in order. Plus, I think something is needed to lighten up the tone of the planned hymn-book a bit... but just a bit. EDIT: Composer Robert S. Potterton III furnished a lovely original tune titled DUNCANNON for this hymn. While he also took the trouble of harmonizing it, immediately on hearing it I wrote two different keyboard arrangements for it. I hope he takes that as a compliment! To grasp by faith the kingdom not yet seen! Yet lest our bones grow dry, lift up our eyes! 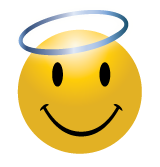 To taste that healing draft, a cheerful heart! That it may be complete, let it be heard! In what You bid us drink, let gladness shine! Let us as well Your Easter triumph share! We might with joy draw near our heav’nly home! Shortly after his birth, Callum Hunt was the sole survivor of a massacre in a magical war. His father, arriving too late to witness the carnage, found him badly injured in an ice cave near the body of his mother, whose dying act was to scratch the words "DESTROY THE CHILD" in the ice. From that gruesome beginning, Call grows up being taught to hate the world of magic by a father who blames magicians for the loss of his wife. When the time comes for him to take the entrance exam to the Magisterium, the underground school of magic where his parents met, Call is convinced his only option is to throw the test. But even though he tries to fail it, he gets accepted as one of three apprentices to Master Rufus, the senior mage who trained his father. His next hope is to get thrown out of the school, but against his father's dire warnings and in spite of Rufus' tough approach to teaching, he is soon caught up in a feeling of belonging like none he has ever felt before. His fellow apprentices include Tamara, a legacy student who has a hard time living down her family's past mistakes; Aaron, an extremely powerful young mage who has never known a family of his own; Jasper, a snotty rich kid cut out of the Draco Malfoy mold; Celia, a pretty girl who seems attracted to bad boys; and Drew, who seems slow to accept the fact that the Magisterium isn't a pony school. Call is a fun main character, full of mischief and prone to hilarious pratfalls. When he isn't making trouble, he shows promise of being an important wizard in the fight against evil someday. But then again, somebody at the school is up to no good, and just when a new champion is revealed in the war against the enemy who massacred Call's mother - an enemy who believed to be biding his time during the long years of a truce, gathering forces for another attack - Call learns a terrible truth about his own truth in all this, a truth that may affect which side of the line between good and evil he comes down on. 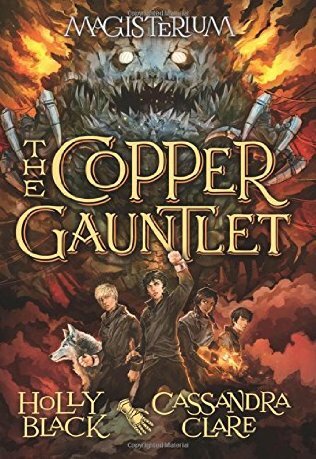 By this time, readers will care enough about Call and his friends to be on pins and needles as the five-book Magisterium series moves on to Book 2, The Copper Gauntlet. This series is a collaboration between two New England based teen fantasy authors - one known for the Spiderwick Chronicles and such Modern Faerie Tales as Tithe, the other for the Mortal Instruments and Infernal Devices series. If the series lives up to the promise shown by this book, it may be their biggest success.